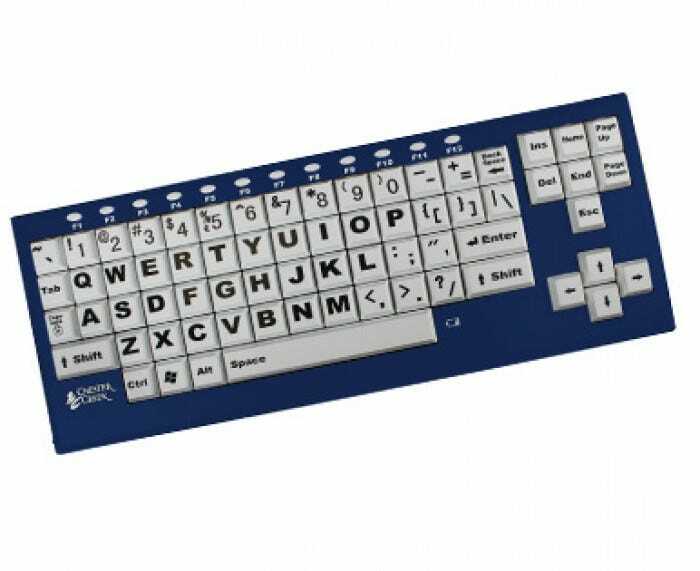 Big Blu keyboards have easy to press large keys for users with low vision or motor impairment. 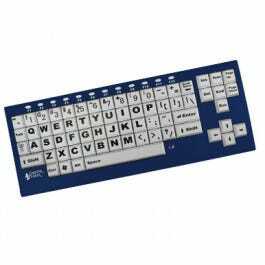 Large 1” keys with bold, easy to read numbers and letters offer an advantage to people with vision or motor-skill impairment. Large font is nearly 250% larger than on standard keyboards. Helps improve readability and reduce eyestrain. White keys with black lettering make keys easier to see, help improve readability and reduce eye strain. 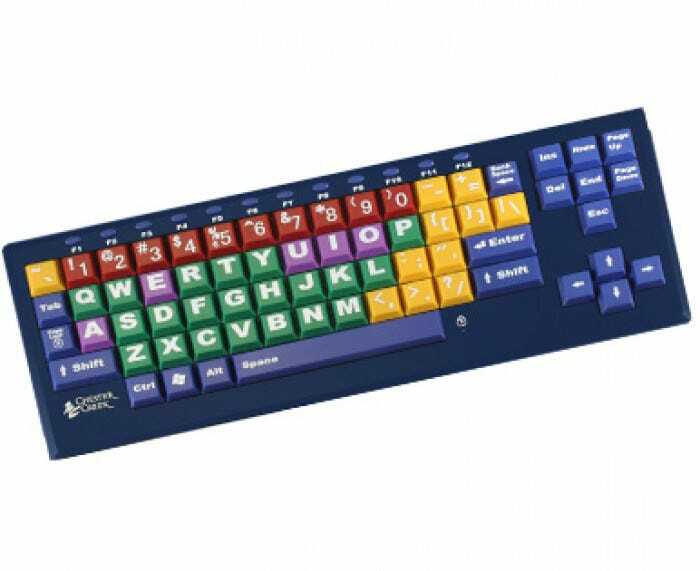 Color keys feature color-coded consonants, vowels, numbers and punctuation marks. Oval F-keys. 19" x 1.5" x 7". RoHS and CPSIA compliant. Compatible with Bluetooth enabled PC, Chromebook, and iOS devices (not Mac compatible). Please note: this is not the RJ Cooper "Big Blue" keyboard.